COOPERMAN LESTER MILLER CARUS LLP is one of Long Island's most respected law firms. 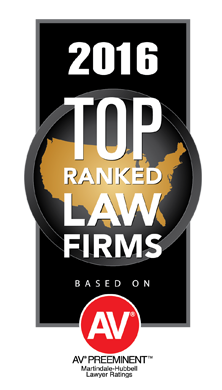 Indeed, New York Magazine has ranked CLMC as one of the New York Area's Top Law Firms, a distinction achieved by less than 150 of the 40,000 law firms practicing in the Tri-State area. CLMC partners are recognized experts in their respective fields, whose counsel is regularly sought by individuals and business leaders throughout the New York metropolitan area. CLMC attorneys utilize a combination of exceptional knowledge of the law and sound business judgment to deliver sophisticated, efficient and cost effective legal services to CLMC clients. CLMC traces its roots to the late 1960s and, throughout the years, the firm’s attorneys have practiced law with energy and aggressiveness, enabling CLMC clients to achieve superior results. CLMC is dedicated to, and focused upon, zealously serving the best interests of its clients, assuring the protection of their rights and the successful pursuit of their goals. This dedication and focus has enabled the firm to enjoy long-term professional and personal relationships with its clients. CLMC clients range from individuals, to family businesses, to large multi-national corporations. Regardless of the nature of the client, CLMC attorneys are committed to providing intelligent and creative "hands-on" legal counseling and the highest level of professional excellence.